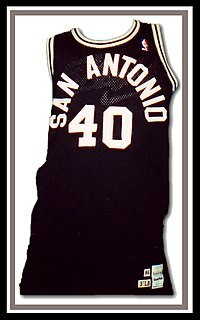 The Spurs are one of four former American Basketball Association (ABA) teams to remain intact in the NBA after the 1976 ABA–NBA merger and are the only former ABA team to have won an NBA championship. The franchise has won NBA championships in 1999, 2003, 2005, 2007, and 2014. As of May 2015, the Spurs had the highest winning percentage among active NBA franchises. As of April 2019, the Spurs have won 22 division titles since joining the NBA and have only missed the playoffs four times. 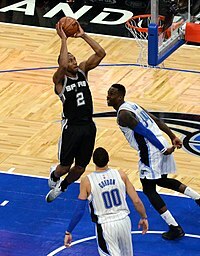 From 1999–2000 to 2016–17, the Spurs won 50 games each season, setting a record of 18 consecutive 50-win seasons. 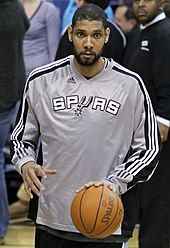 In the 2018–19 season, the Spurs matched an NBA record for most consecutive playoff appearances with 22. The team's recent success coincides with the tenure of current head coach and president, Gregg Popovich, who has coached the team since 1996. 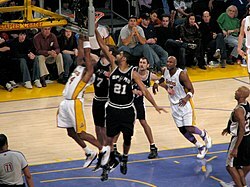 From 1999 to 2004, the rivalry rivalry between the Spurs and the Los Angeles Lakers was considered the NBA's best,[dubious – discuss] as each time the clubs faced each other in the playoffs, the winner advanced to the NBA Finals. ^ Derk. "Tim Derk Takes On A New Role". San Antonio Spurs. Retrieved March 8, 2019. 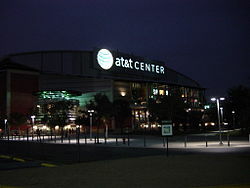 ^ "An abrupt firing leaves San Antonio Spurs dance team hurt and suspicious". San Antonio Spurs. Retrieved April 12, 2019. ^ "mascothalloffame.com: Hall of Famers". archive.is. January 28, 2013. Retrieved March 8, 2019. 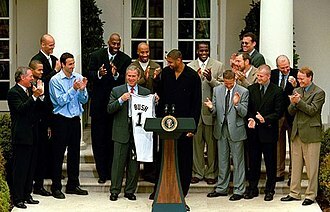 Wikimedia Commons has media related to San Antonio Spurs.